Hello, my name is Sarah, from France. I was born and raised in Paris, the capital of France. I will talk about my country and its traditions, as well as some similarities and differences that I have found between France and Korea. As a current university student in Tourism Management in Gachon University (1 grade), I have spent most of my life in France. 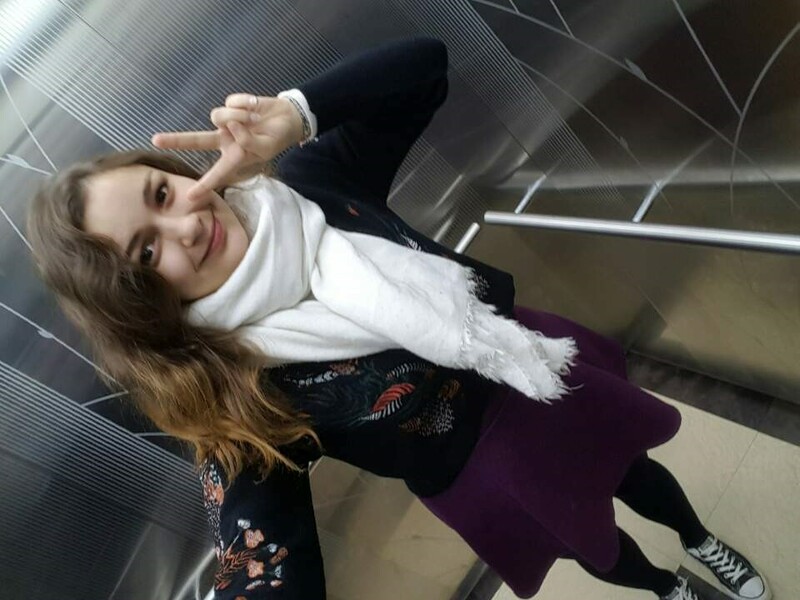 I chose to move to Korea after I graduated from high school to complete the Korean language program with the aim of entering the tourism department, which I think will be a bonus for my future. This move has already given me the opportunity to notice the cultural differences between these two countries which are both so close to my heart. Korea is really different with France. Not only the language but pretty much everything is different from what I'm used to in France. For me, the biggest difference is of course the culture. The French way of thinking is totally different from Korea. The more I learn about Korean culture the more I like it but sometimes the gap is really too big for me to understand everything. Despite these huge differences I am more than happy to get to know great people in Korea. Another point is that Koreans do everything really fast, sometimes too fast for me to follow. The fast-eating is an example. In France, I was always scolded by my mom for eating too fast but here in Korea, my friends ask me why I eat so slow. Also, the seniority-based culture in Korea is very important and has some unusual rules, which can be surprising to the French in some ways. For example, even a girl or boy five years older than me can be my friend without any problem in France. For me, it's a great form of respect (even though I still don't understand how one twin born 2 minutes before the other can be a ‘Oppa’ or ‘Eonni’. Food is an essential part of the cultures of both countries and there are many similarities and differences between the meals consumed in France and Korea. As in Korea, meals are supposed to be shared in France, BUT we never eat our meal from the same plate (which can be quite surprising to see for the first time in Korea. In France, it's not even thinkable). We enjoy the time spent around the table with our family or friends, and our meals progress in a stepwise fashion (way): appetizers, the main dish, and finally dessert. Of course, dessert is everyone's favorite so it's rarely skipped. Learning Korean was a big challenge for me as French is my mother tongue (I suppose it's the same for all Europeans). Our language is totally different from Korean. First of all: the pronunciation. French is known for its difficult pronunciation so it's difficult for me to copy the sounds of Korean without a lot of practice. There are so many sounds that I didn't even know about just 2 years ago. Also, the grammatical structure of French is opposite with Korean. We always put the subject in the sentence first (like English) followed by the verb to know the subject and the action of the sentence. Sometimes it is hard to understand who we are speaking about in Korean (it is often hard to understand when I converse with someone in Korean) because saying the subject isn't always necessary. I also have to concentrate until the end to know what the verb will be at the end of the sentence which can give me a headache. It's funny to think that I don't even realize myself speaking Korean through French expressions. So of course, my Korean friends can't understand me even if I am saying it in Korean. Why? For the simple reason that that expression come from French culture, and if our cultures are different, expressions are too. One of the amazing things about Korea is the 24-hour, 7-day-a-week service you can receive at many different stores. First of all, Sundays! You can be sure that during your trip in France, every Sunday you will be bored somewhere in Starbucks because 1st, most shops are closed and 2nd, the French usually rest on Sundays so there are not many people out and about. Of course, you can go to a restaurant, but it is not at all like Korea. In France, we only occasionally go to eat at restaurants for the simple fact that it's expensive and we prefer to cook for ourselves. Also, even on weekdays, we don't have 24-hour shops. Everything closes at 6pm (and even that is being a bit generous.) I really enjoy the atmosphere of Korea. You can go to a convenience store, whether you're hungry or need to buy something, whenever you like. I wish it was like this in France, but the fact is, legally some stores can't even be open past a certain time. I will definitely miss this back in Paris. I hope this essay helped you learn more about France and its culture. I am really excited to learn more about Korea and the Korean language.